Control the game with the new Dunlop Precision Ultimate. This is the racket used by the rising star Diego Elias from Peru who seems to have a bright future ahead on the PSA tour. 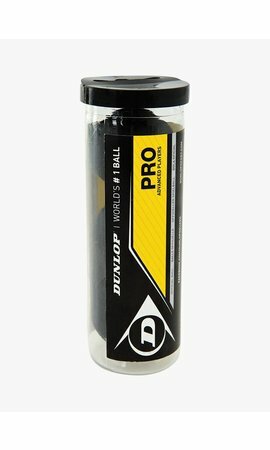 As the name of the Precision series suggests, the Dunlop Precision Ultimate excels in precision. With this racket you get to enjoy an extraordinary feel over your shots and can control the ball perfectly. The classic shape of the racket head with a bridge allows you to place each ball very accurately. The 16 x 19 string pattern and the very small spaces between the strings contribute to the excellent touch the Dunlop Precision Ultimate offers you. Within the Precision series, the Dunlop Precision Ultimate is a model with a larger racket blade with a surface of 500 cm2. This makes the racket more forgiving and ensures that you can better control the ball even if you hit it outside the striking zone. Dunlop has added Hyperfibre+ material at the 3- and 9-hour positions in the racket head of the Precision Ultimate. These ballistic fibres are woven in multiple directions in order to optimize the playing characteristics of the racket. The use of this innovative material makes the racket blade more stable during a shot and this results in extra precision and control. There is also a layer on the outside of the Dunlop Precision Ultimate that improves the aerodynamics of the frame. This ridge structure significantly reduces air resistance, allowing you to generate more racket acceleration. 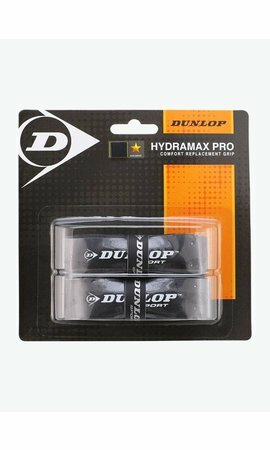 Dunlop has also managed to reduce the friction between the strings and the bumper strip by using Glide Polymer technology. Thanks to very small globules, the string experiences less friction during the ball contact and you can hit the ball harder. The frame of the Dunlop Precision Ultimate weighs only 132 grams and is extremely manoeuvrable because the centre of gravity is located in the bottom of the racket. You can decide to play the ball very early or to hold your shot and send your opponent to the wrong direction by flicking the ball the very last moment. With the Hydramax Pro grip, moisture is well drained and the Dunlop Precision Ultimate will stay firmly in your hand throughout the game. 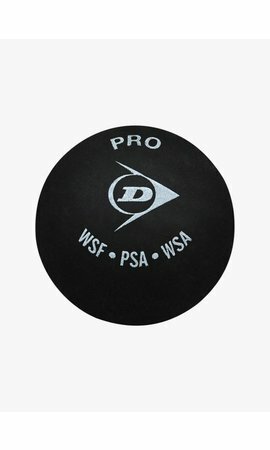 Afterwards you can store your Dunlop Precision Ultimate safely in the padded full-size cover that is provided with the racket. This cover has a handy shoulder strap.